Moe Therrien with Mountain States Appraisal spoke to the Boise chapter of the National Association of Residential Property Managers (NARPM) last week and presented a report that he just released providing an overview of where the rental and real estate markets are today, where they have been, and what the future could be. Moe has been collecting rental and real estate data in the Boise area for over 25 years now. Attached is the full report and below is a summary with a bit of our own take on the information. Predicting vacancies to increase from 3% to 6% is significant. This is something First Rate Property Management cautioned as a possibility in 2014, but obviously we were incorrect. The same could happen in 2015, but just as we suggested before, we recommend hedging your bets a bit by offering 2-year leases. Why you ask? Because over the past few years, thousands of multi-family rental units have been built. Currently there are over 2,000 units under construction now with another 1,500 to follow. One of the best rental markets has been the Boise State University area. 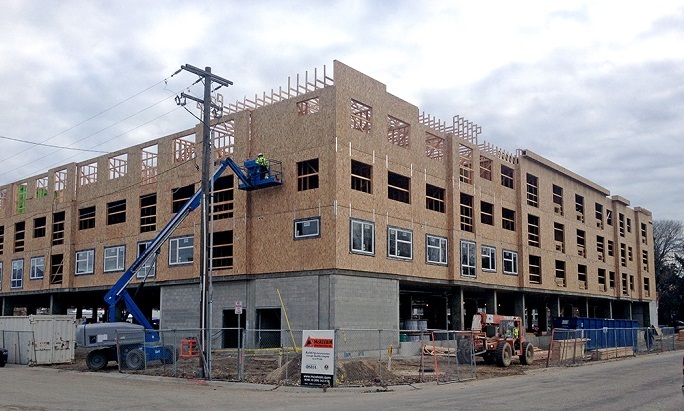 There currently are 540 units with 1,500 bedrooms being built across the street from BSU. The growth of rental units is expected to exceed the number of renters. 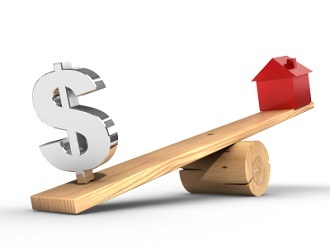 Additionally, as confidence in the economy and real estate market continue to improve, so will the demand to buy. If interest rates were to start trending upward, I think you would actually see droves of people making a knee-jerk reaction to purchase a home before rates became "too high" and keep them from buying a home later. Moe also stated that he believes rents have stabilized and we won't see massive increases in rent this year. I tend to agree, but I also think that we will see rent averages continue to climb and here is why: The easiest time to increase rents is when filling a vacancy. The unit is either new or at least freshened up and this is the best opportunity to get a higher rent. Vacancies filled this month are probably at that stabilized amount. Depending on the increase in market rents, most Landlords agree that hitting current tenants with a 10% to 15% rent increase could cause some hard feelings and a vacancy. So they ease into the rent increases. This is the segment of the market that I think will raise the average rents, because these tenants are paying less and will see moderate rent increases until Landlord and Property Managers see the market soften. The last segment is for the tenants who were filled during the winter months, who likely signed for a lower rent. An owner would not want those leases to expire next winter, so they likely signed a 6-month lease and as those come due, we should see those rents increase. Rent concessions may be something we see this fall and winter. Well, let's be real, there are rent concessions going on now. Many of these new complexes have pushed the rents so far over market that they are offering incentives to get them filled. It's just not in big bold print on billboards and such. But Moe thinks that may change by year end. According to the report, Ada County is seeing 6,000 new jobs per year. What I would like to know is what kinds of jobs and how many people are moving to the area and from where. If you drive North on Eagle Rd. from Pine to Ustick, you probably would think all the new jobs are all service providers for restaurants and bar and grills. If you look through the report, you will see average home prices from 2007 to current. What you aren't seeing is what the current rental demand has done to rental property supply and demand. Well, demand is up, so values have been moving upward and supply has not met demand. This has helped improve the values of older properties which really have been struggling to get back up to where they once were. I think the new construction has been good for all of our clients because the rents have been so high that existing properties looked like that much better of a deal. If the rental market were to take a hit, I think the first to be hit will be the new properties that have pushed rents to areas never before seen in the Boise area. Properties that have stayed within 10% of average rents posted by the surveys will probably be least affected. Rents comparison between a 30-year-old apartment building with minimal amenities to new, full amenity apartments in huge projects. Also listed are building permits for single-family and multi-family in Ada and Canyon Counties, and employment growth since 2005 as reported by the Idaho Department of Employment. On the real estate side, single family prices since 2007 are shown along with market observations. What most of you may find the most interesting is the list of apartment projects currently under construction and proposed. And lastly, Ada Real Estate Surveys Boise Project Vacancy Report shows all of the different apartments and their reported rents and vacancy. I would like to point out that we did find some errors on this report for apartments that First Rate Property Management manages. Also, because participants of this survey know that the results are posted, it is believed that some may understate their vacancies. So actual vacancy is probably higher. In the same light, managers probably post today's rents and not the range of rents from tenants that haven't been moved to market rent yet.